Attending a trade show is an investment in your business’ marketing strategy, which may sound daunting, but there are easy steps that you can take to make the most of it! Unlike social media, radio advertising or ad mail, trade shows are an opportunity to meet potential customers face-to-face, build a relationship and get them excited about what you have to offer! Take a look into various trade show events in the area and decide which would best suit your business. If you want to expand out of your immediate area, try looking into trade shows in a different city, province or country. There might be a few trade shows that would be a great fit for your business. If you plan on attending multiple, be sure to research the types of businesses that attend each show, and the demographics of the customers. You may need to adjust your marketing tools and goals for each specific event. For example, a home accessories/cooking-ware shop could create a housewarming prize basket to entice soon-to-be-newlyweds at a bridal show, while they might make a barbeque prize pack for more established families at a home & lifestyle show. 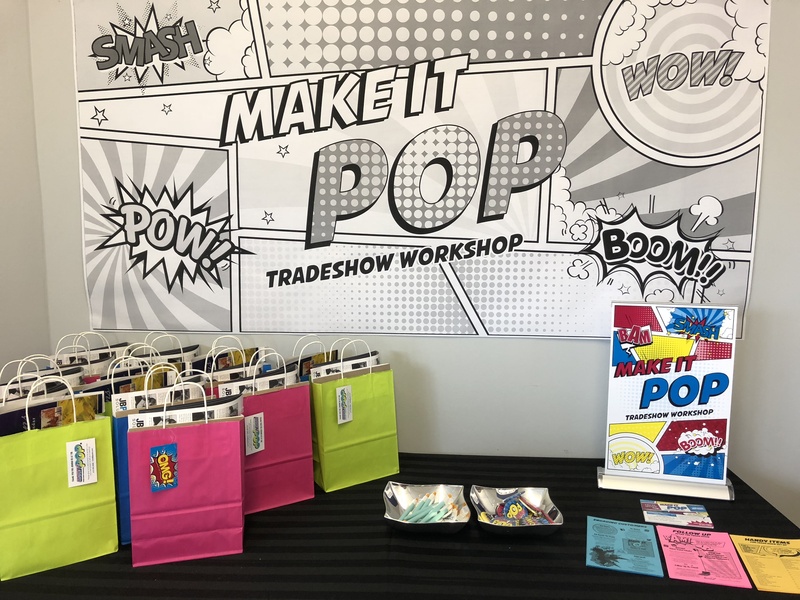 Your giveaway and display materials like rack cards and rollup banners should also be specific to your target audience’s interests and needs, which could mean listing and highlighting different products or services. A well-designed booth reflects on your business as being prepared, organized and established. Make sure you have all of the display materials you need, and the tools to make it happen. Email creative@jbprint.com to get our handy trade show checklist. Educating your staff and writing content about your company’s history, competitive advantages and goals will make sure your customers get straightforward and correct information. Email creative@jbprint.com to get a worksheet that will help you answer these questions and write content for your handouts. Determine specific, achievable and relevant goals that will encourage your staff to work harder and help you measure your success. Too many staff will be intimidating, too few will result in staff being overworked and not providing customers with enough one-on-one time. Use social media leading up to and while you’re at the event! -Follow & engage with the trade show’s social media accounts. Keep your booth in line with your brand, but make sure you keep in mind what draws attention (i.e. bright, shiny, big things). 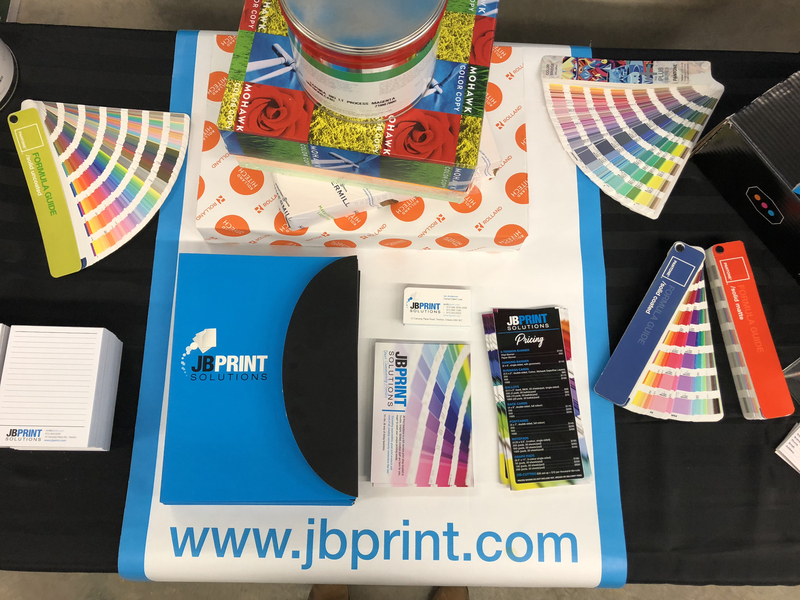 Including big pieces like backdrops, roll up banners, hanging banners, & photo frames with smaller pieces like brochures, business cards and product samples will make your booth visually interesting from top to bottom, from close up to across the room. Initiate and maintain conversations with potential customers! Find that nerve-wracking? Make sure you practice beforehand. It’s important that you don’t rush into selling. Take the time to ask the customer questions which will teach you how you can help them and naturally lead to your services. 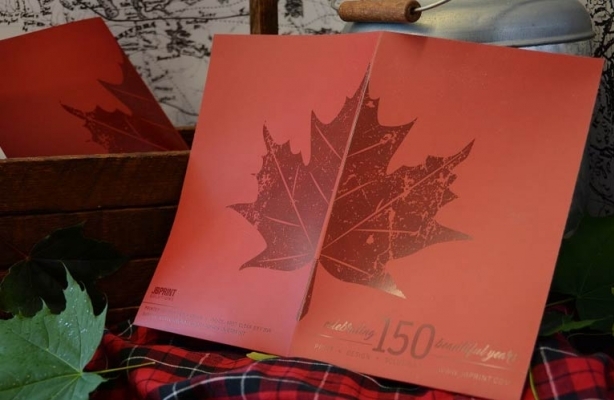 Provide brochures, rack cards and other takeaways that answer the customer’s important questions after the trade show (ie “how the heck do I get a hold of that business? !” or “What types of maintenance did they say they do?”). Handouts are great tools to make sure the customer remembers you after they’ve left your booth and talked to hundreds of other vendors. Everyone loves something FREE! Whenever possible, give something away with your brand on it. 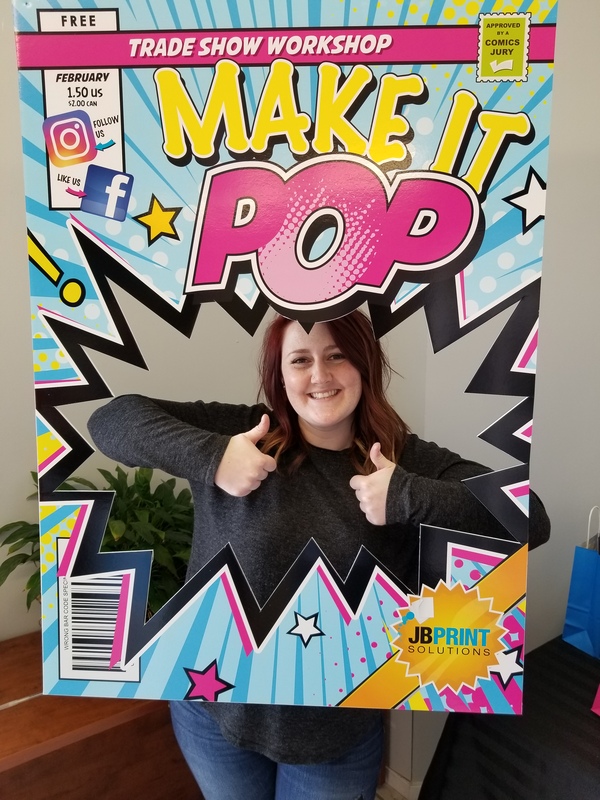 Make your booth fun by incorporating a contest, game or photo booth. This will save you money because you’ll be giving away fewer items while making sure customers spend more time with you! Your customers can tell if you enjoy and believe in what you do/sell! Now that it’s over, it’s time to relax. Just kidding! Just because the trade show is over doesn’t mean your work is done or that the benefit of attending the event has come and gone! After taking the time to start building a relationship with so many potential customers at the trade show, it’s important that you follow-up with them. Following up reminds the customer that you exist, gives them a sense of your availability, makes them feel special, and gives you a chance to find out more about what your customers want/need. Take the time to re-cap the trade show on your social media. Posting about your trade show experience and sharing photos is an opportunity to reflect on the event (including your successes & failures), re-connect with your new customers and show your followers how engaged and hardworking you are!